Maria Opuni and Rob Grimshaw of Tes, Lord Mayor Magid Magid and, from left: Umar, Sid and Bassit Siddiqui off Gogglebox. Education company Tes Global has opened in Sheffield creating 200 jobs in a major boost for the city’s booming teacher support industry. The firm has taken two floors in upmarket offices in 3 St Paul’s on Norfolk Street in a high profile statement of ambition. The move is seen by many as strengthening Sheffield’s claim to be an ‘education hotspot’, thanks to teaching schools at both universities, the Department for Education (in the block next door to Tes) Sheffield College, the UTCs, Learn Direct and a host of businesses. Lord Mayor Magid Magid was guest of honour at a launch party attended by Chris Husbands, vice chancellor of Sheffield Hallam University and the three Siddiquis off Channel 4’s Gogglebox, one of whom works with Tes. Lord Mayor Magid Magid at the Tes Global launch. Pix by Wesley Kristopher Chambers. He added: “Tes is all about mission. We simply believe in the power of great teaching and believe Tes is here to support and connect teachers and schools all over the world with the thing they love: improving the lives of children through education. Sheffield is home to a lesson planning library which has more than 1m downloads a day, a teacher training team and course and course and content creators. It also has data, marketing, finance, sales and customer service staff. Tes Global publishes the world-renowned Times Educational Supplement, hosts a 10m strong online community of teachers, sells training and recruitment services and runs one of the UK’s biggest supply agencies, Vision for Education. It is a leading ‘edtech’ company, harnessing the power of the internet to provide more for less, as schools struggle due to funding cuts. It joins Tutorful, an app which ranks home tutors, primary school resources firm Twinkl – which employs more than 400 – Can Studios, which sells e-learning courses, software firm Tribal Group and virtual classroom company Edlounge. 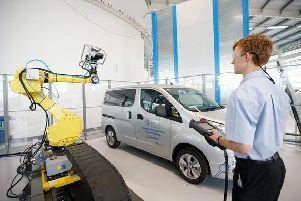 Sean Cavan, of the Institute of Education at Sheffield Hallam University, said the sector was one of the biggest employers in South Yorkshire and had a major impact on economic and social health. Good teaching helped children “aspire and achieve” their goals, get good jobs and improved social mobility. It also helped attract employers who wanted good schools for the children of staff. Sheffield’s teaching schools produce hundreds of teachers every year who work in early years, schools and colleges, he added. They also helped schools retain staff - “a big, national issue” - through professional development. The Times Educational Supplement was first published in the Times in 1910. Today the magazine is called ‘Tes’ and no longer has a connection with that newspaper. Tes also has a news website.